Christmas is getting closer - what a perfect Christmas Gift to have a stay in one of our hotels or eat in work of our fine eateries. Treat your loved one to a well-deserved gift. With 8 hotels across Ireland to choose from, we have something for everyone. 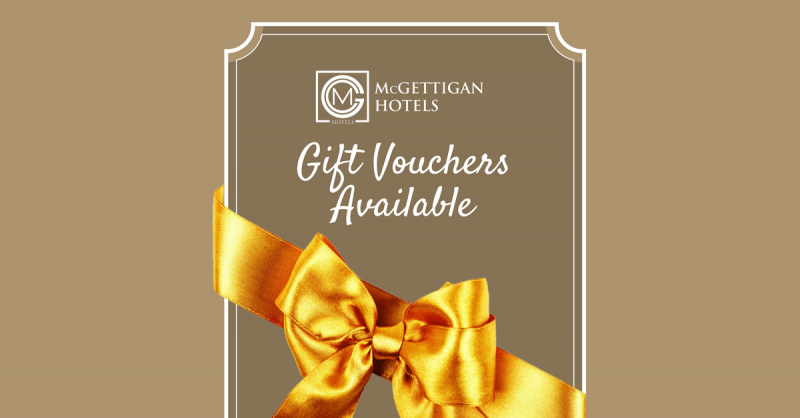 Choose from McGettigan range, Luxurious hotel breaks, Family breaks, Spa breaks, Golf breaks or choose you use your voucher in one of the McGettigans Cookhouses & Bars. Why not purchase one of our Gift Vouchers starting from as little as €50. Our eGift Vouchers are perfect for last minute gifts, straight to your or their inbox! Or have the Gift Voucher posted out to your directly. Just select your preferred method of delivery at time of purchase.